1Faculty of Agriculture, Seberbay Campus, 31527 Tanta, Egypt. 2Soil and Water Department, Faculty of Agriculture, Tanta University, Egypt. New agriculture practices are required for developing water use efficiency. Mulching as a target for that goalhas not been adequately quantified. 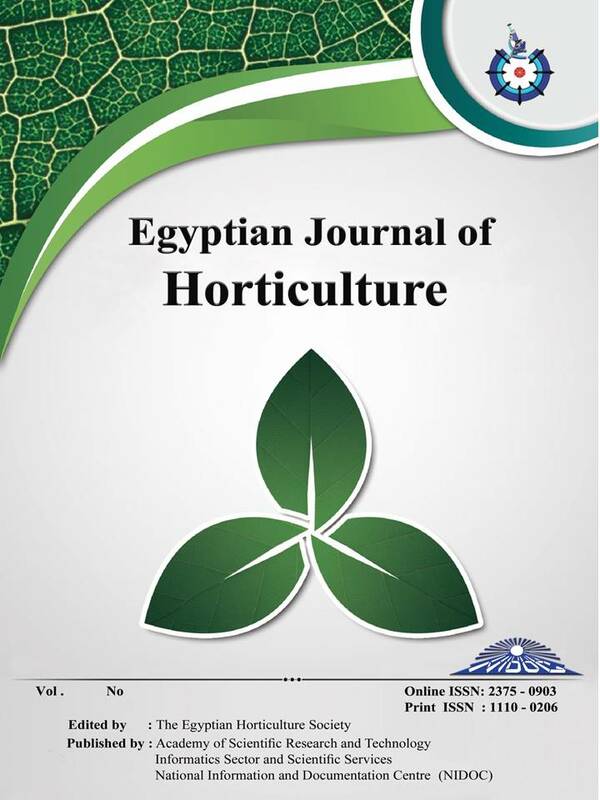 The aim of this work was to clarify the role of rice straw mulchingin reserving water under surface irrigation and quantify its application benefits on yield and quality of king ruby grape vineyard grown in Delta Nile of Egypt during 2017 and 2018 seasons. The experimental layout included six treatments T1, T3 and T5 for three irrigation regimes which introduced control or zero, 25% and 50% of restriction irrigation water. T2, T4 and T6 introduced the mulching application within the previous irrigation regimes. The irrigation regime started at veraison phase (pre maturity stage) from May 2017 till end of July (time of harvest) and straw mulches were applied at rate 5 kg/m2, and it was renewed in 2018 season. Soilbulk density (BD), infiltration rate (IR) and NPK uptake were looked up. Growth and qualities attributes were figured out as a reflection affect by treatments under investigations. Results highlighted the role of mulching in keeping soil moisture under severe drought stress, 50% of restriction irrigation water (T6) similar to unstressed, control (T1) subsequently the most measured parameter of soil, growth and quality were similar in both treatments. These findings suggest the application of T6 (50% of restriction irrigation water) treatment as a target recommendation for saving 50 % of irrigation water without yield reduction and with good qualities.